Episode 13 is Wang Jin Li’s episode. We’ve been pretty much indifferent to Wang Jin Li and his want to win Zhong Shao Xi’s heart. This episode, though, it made us have a slight case of second male lead syndrome. The way Wang Jin Li shows Zhong Shao Xi she is wrong to think she is inferior to Bai Bai is very sweet! Wang Jin Li helping Zhong Shao Xi clear the misunderstandings between her and Yan Li Zheng so Zhong Shao Xi can be happy is an awesome thing he does for her. Following the event where she saw Bai Bai give a kiss to Yan Li Zheng on the cheeks, Zhong Shao Xi has trouble seeing herself as good enough to be liked. It has her ask Wang Jin Li how she compares to Bai Bai. Wang Jin Li is unimpressed with Zhong Shao Xi’s response. Wang Jin Li brings Zhong Shao Xi to a side street artist. Getting Zhong Shao Xi to sit turned away from the artist, she’s told to describe herself so the street artist can draw a portrait of her based on her descriptions. Wang Jin Li’s intention with this is to have Zhong Shao Xi see how harsh her view of herself is when, in the eyes of others, she’s not as bad as she imagines herself to be. When Wang Jin Li goes to look at the portrait drawn using Zhong Shao Xi’s descriptions, he’s unimpressed. He asks the street artist to draw another. This time, the street artist draws a portrait using his descriptions of Zhong Shao Xi. At first, the descriptions he gives sound rather unflattering. However, as he describes more, they become positive and flattering. 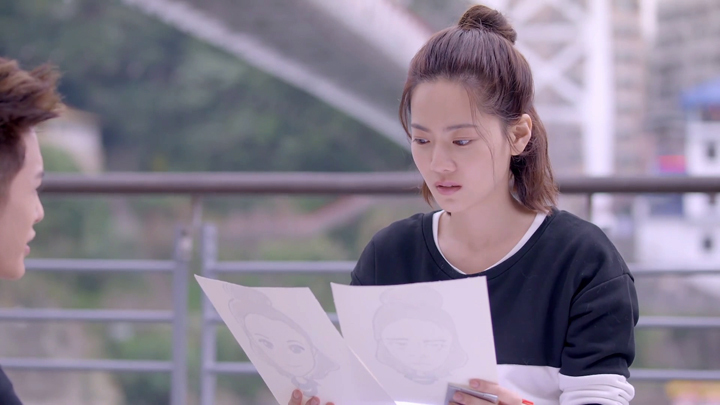 Finished describing Zhong Shao Xi, Wang Jin Li goes and grabs the drawings from the street artist and shows Zhong Shao Xi how different her view of herself is compared to another’s view of her. After the evening spent comforting Zhong Shao Xi, Wang Jin Li goes to Yan Li Zheng. 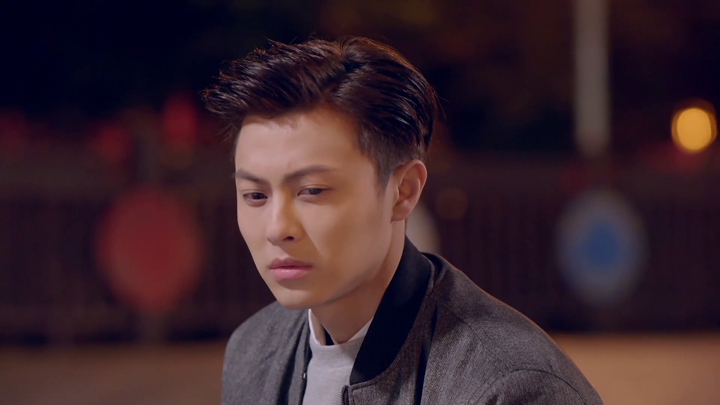 Wang Jin Li is unhappy with Yan Li Zheng for the way he’s going about Zhong Shao Xi and her like towards him. He wonders why, on the one hand, he kisses Zhong Shao Xi. Then, on the other hand, he’s with another girl. These are said with throws of punches at Yan Li Zheng in between. Yan Li Zheng returns Wang Jin Li many more punches when Wang Jin Li admits to wanting to take advantage of the situation between him and Zhong Shao Xi. This is doing things that can have Zhong Shao Xi fall for him. He also admits having wanted to kiss her. The latter admission of wanting to kiss Zhong Shao Xi brings Yan Li Zheng to an anger that makes him want to deal Wang Jin Li more punches; however, he is stopped when he hears Wang Jin Li say how fruitless his actions have been when the person Zhong Shao Xi likes isn’t him. Yan Li Zheng says to Wang Jin Li he like Zhong Shao Xi. He confirms it when Wang Jin Li asked. Yan Li Zheng says he has regretted decisions he’s made in the past. These are shown to us to have been moments in high school where he didn’t comfort Zhong Shao Xi when the school bully, Da Mao, embarrassingly read her diary out to her class and revealed her most private thoughts. He regrets not being the one to tell her to not cry where Li Ru Ping instead was the one there to do so and had taken care of her. He also regrets not realising he liked Zhong Shao Xi long ago. 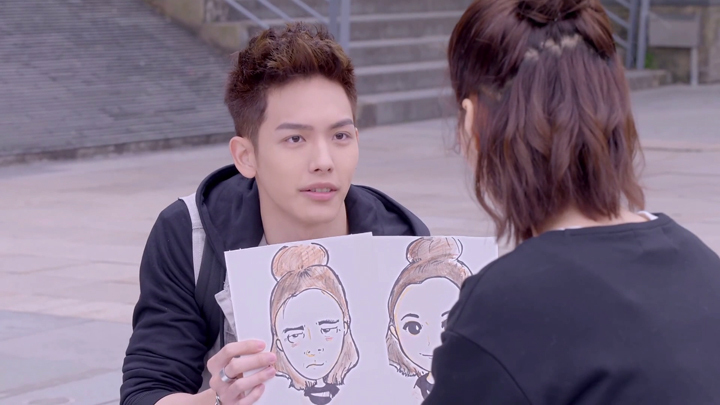 Yan Li Zheng reveals another thing to Wang Jin Li. This is being jealous of Wang Jin Li because he says Zhong Shao Xi always smiled around him. Yan Li Zheng thought that maybe Wang Jin Li was more suitable for Zhong Shao Xi. 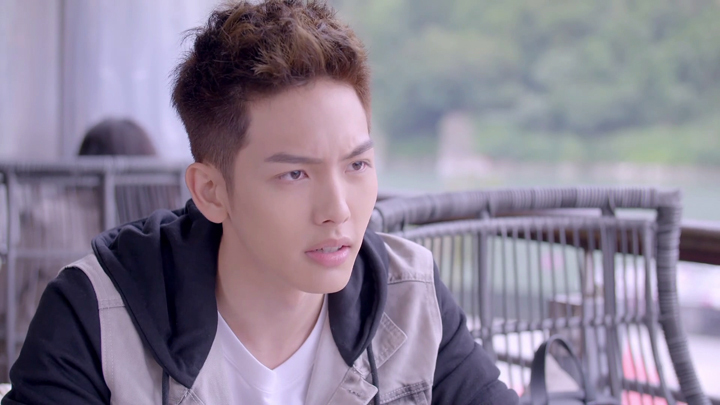 In response, Wang Jin Li lets Yan Li Zheng know why he’s jealous of him. From here, Wang Jin Li works to undo the misunderstandings between Zhong Shao Xi and Yan Li Zheng after he finds something interesting in the doll Zhong Shao Xi recorded her feelings for Yan Li Zheng in. The interesting thing Wang Jin Li had found in the doll whilst helping Zhong Shao Xi pack her belongings to move back home to her parents is a recording from Yan Li Zheng. Yan Li Zheng’s recording says he likes Zhong Shao Xi too. To undo the misunderstanding between Zhong Shao Xi and Yan Li Zheng, Wang Jin Li begins with getting a recording of Bai Bai saying she had purposefully done things to have Yan Li Zheng misunderstood by Zhong Shao Xi. He obtains this with pretending to want to work together with her so they each can be with the person they like. After the recording is obtained, Wang Jin Li brings Zhong Shao Xi to go on a date with him. Wang Jin Li brings Zhong Shao Xi to an outdoor venue he set up to watch the movie that Zhong Shao Xi never finished watching at the movie theatre where he first met Zhong Shao Xi. After the movie ends, Wang Jin Li presents Zhong Shao Xi the recording of Bai Bai confirming Yan Li Zheng to have had no interest in her. He then presents the gift that lets Zhong Shao Xi know Yan Li Zheng likes her—the doll with Yan Li Zheng’s recording responding to Zhong Shao Xi’s recording. 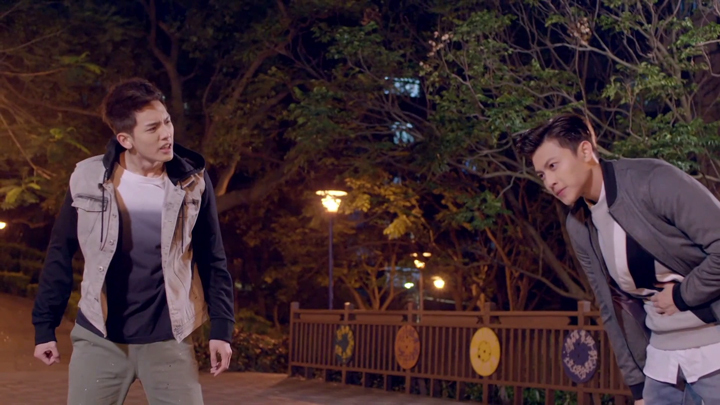 With this, Wang Jin Li successfully helps Zhong Shao Xi and Yan Li Zheng clear up the misunderstandings between them. Zhong Shao Xi waits for Yan Li Zheng at the student apartments. When he appears, she immediately tells him she now knows she’s misunderstood things between him and Bai Bai. Wang Jin Li had helped her see that when he told her everything. Yan Li Zheng moves towards Zhong Shao Xi without a response, making Zhong Shao Xi wonder what he’s doing and why he’s not saying anything. She receives a hugs. While things are well for Zhong Shao Xi and Yan Li Zheng, Wang Jin Li is miserable. An Xiao Qiao is there for him. She wants to comfort him even if it means sleeping with him. 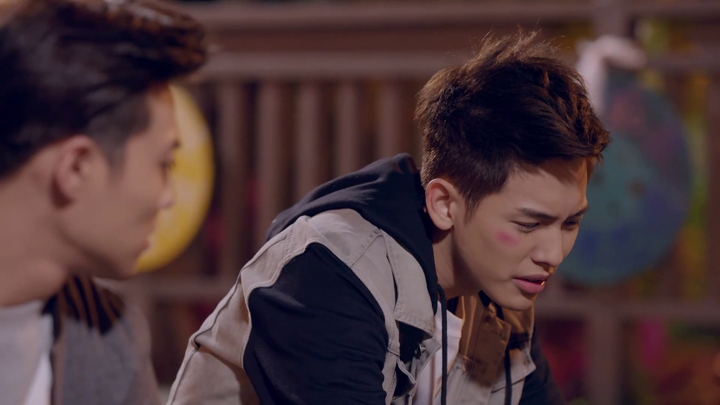 However, Wang Jin Li stops himself and An Xiao Qiao sits by his side. She listens to him as he expresses how difficult it is to stop liking someone and resume going about his life in the way he had before starting his like towards Zhong Shao Xi. 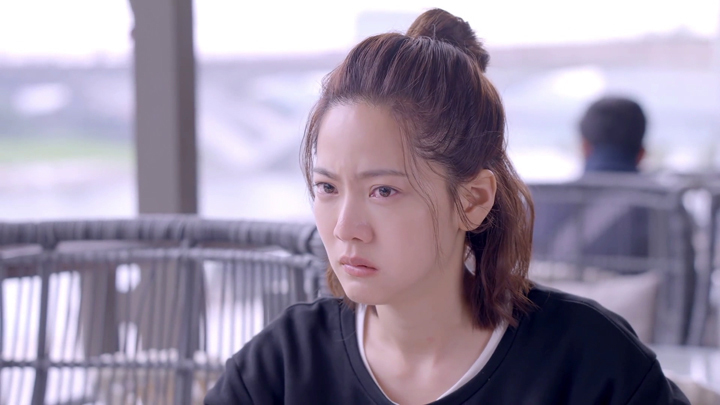 The next day, Wang Jin Li finds it a bit hard to go home when he expects Yan Li Zheng and Zhong Shao Xi to be acting like a couple. What he finds is nothing of that sort. He finds Zhong Shao Xi in the kitchen by herself eating instant noodles. When he asks Zhong Shao Xi about what happened yesterday, Zhong Shao Xi indicates not much took place. This brings Wang Jin Li to go to Yan Li Zheng once more to tell him off for not telling Zhong Shao Xi he likes her. Yan Li Zheng does go to let Zhong Shao Xi know he likes her. He has her accompany him to give a visit to their old high school. They head into a classroom where Yan Li Zheng lets Zhong Shao Xi know of the regrets he has with the decisions he’s made in the past regarding her. Writing on the blackboard and explaining Albert Einstein’s time dilation formula in his Theory of Special Relativity, Yan Li Zheng expresses curiosity towards how they’d be now if he could travel back in time and did things differently. He talks about going back to the moment Da Mao read aloud her diary. He tells Zhong Shao Xi he feels that if he’s able to go back in time to fix mistakes he did from that point onwards, he possibly wouldn’t have so many regrets. He wouldn’t always be making her cry. Yan Li Zheng concludes with expressing that it isn’t possible to go back in time to change things. He can, however, change his present self. Demonstrating this, Yan Li Zheng leans into Zhong Shao Xi and kisses her. We’re glad to see Zhong Shao Xi and Yan Li Zheng finally together. We do wonder if Yan Li Zheng and Zhong Shao Xi could’ve, by themselves, broken out of their cycle of misunderstanding each other, though. With the way things kept going, it felt like they could continue misunderstanding each other for a very long while. The response Yan Li Zheng left in the doll to Zhong Shao Xi’s recording might eventually be noticed by Zhong Shao Xi, but we feel it wouldn’t have been noticed until a very, very long while without coincidences like Wang Jin Li finding the doll and being curious enough to press its hand. We can’t imagine Zhong Shao Xi going to replay her own confession as to chance upon Yan Li Zheng’s response when she is thinking Yan Li Zheng likes Bai Bai and is convinced that’s the case. It makes us believe she’d never come across Yan Li Zheng’s recording which means she and Yan Li Zheng will get worse and worse. Thankfully, Wang Jin Li found the recording and did something about their situation. Wang Jin Li helping Zhong Shao Xi and Yan Li Zheng resolve their issues in this episode makes us recall the scene in Episode 9 where Zhong Shao Xi violently shoved Wang Jin Li to the ground and screamed his head off for being an unwelcomed outsider sticking his nose into the private matters of her and Yan Li Zheng’s. He’s stuck his outsider nose in her and Yan Li Zheng’s private matters again, but this time there’s no shove to the ground or screaming from Zhong Shao Xi. There wasn’t anything showing Zhong Shao Xi’s thoughts towards the immense help Wang Jin Li gave her, actually. It’s disappointing. We would have loved to hear Zhong Shao Xi utter a word of appreciation towards Wang Jin Li’s help. What Wang Jin Li did wasn’t small. So, a quick moment hearing Zhong Shao Xi say ‘thank you’ even if it comes to sound like a pity thank you it would have been nice to hear because he really was an immense help to her. It would be nice to know she acknowledges Wang Jin Li sticking his nose in her private matters this time as helpful, contrasting her reaction of that previous time where she was angry and felt he was an outsider who was a disruption in her life. It would have been nice also if we didn’t see Yan Li Zheng acting arrogant towards Wang Jin Li after Zhong Shao Xi returned to him. Zhong Shao Xi didn’t come to understand things by herself. With Yan Li Zheng not making it clear for Zhong Shao Xi to see she’s the only girl he considers important and worthy of his attention and like, Zhong Shao Xi kept giving way to Bai Bai and made her stop anything with the possibility of showing her Yan Li Zheng liked Bai Bai. Because of this, Yan Li Zheng found her hiding from him which Zhong Shao Xi only stopped doing after Wang Jin Li cleared things up for them. So, that scene where Yan Li Zheng had an attitude towards Wang Jin Li telling him off for not saying he likes Zhong Shao Xi didn’t go well with us. Wang Jin Li may be annoying because he is his love rival, but he brought Zhong Shao Xi to return to him. He isn’t annoying to death at all. It’s more like helpful, great, awesome. A good guy. A good friend to have! Good episode Episode 13 was. Highlight of the episode was Wang Jin Li of course. So sweet! Hearts and more hearts to Wang Jin Li.